The top floor boasts expansive views over the centre of Kristianstad. 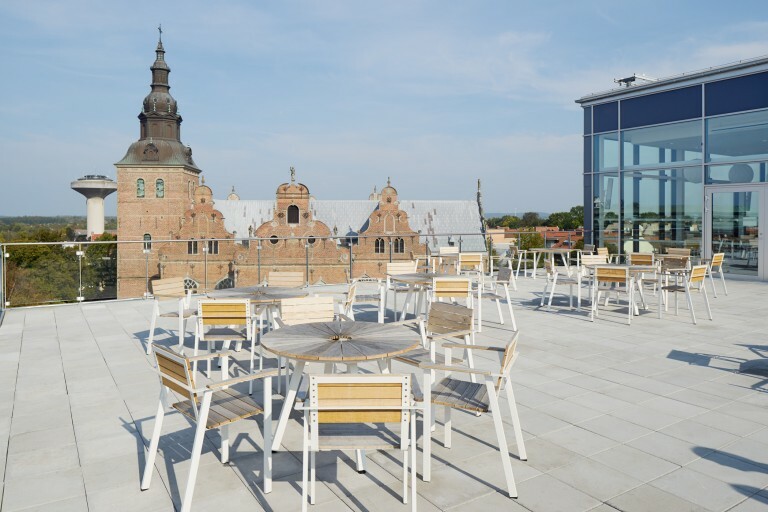 When Kristianstad Municipality and Region Skåne jointly relocated their central administration functions to the Christian IV block, the exterior was preserved, while the interior was radically altered. Architectural design of buildings, landscape and layout was the responsibility of FOJAB arkitekter. They have preserved the exterior appearance of the block, while the interior has been given a brand new look. Input interior supplied the majority of the furniture for the project. 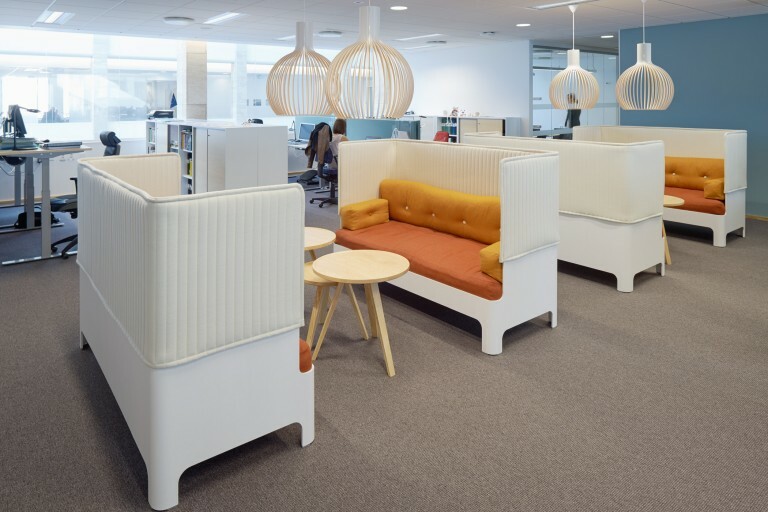 This included office furniture, conference furniture and bespoke joinery components. 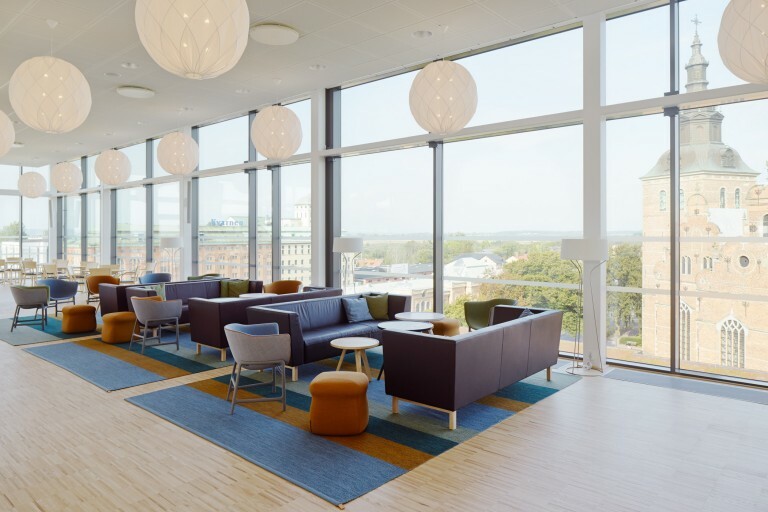 The efficient office premises for 750 staff employ modern and open-plan solutions to good effect, ensuring accessibility, openness and flexibility. At the same time requirements for seclusion for undisturbed working have been successfully accommodated. 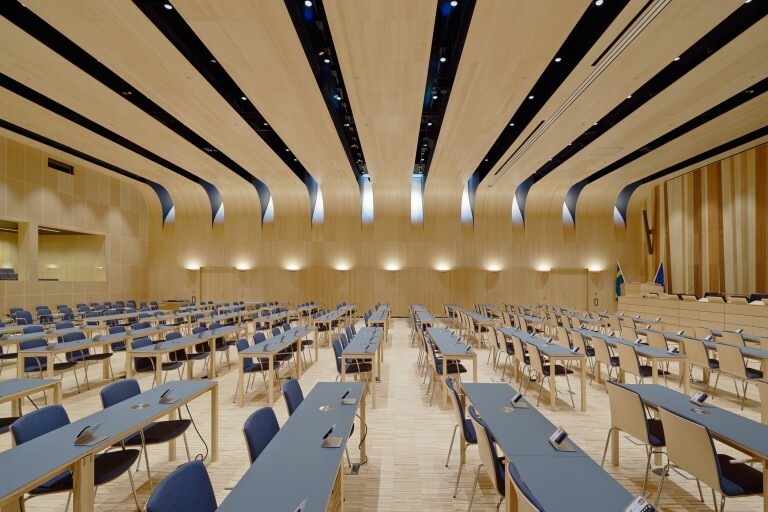 Sustainable natural materials such as stone, wood and copper have been used throughout, both internally and externally, as characterful construction materials. Light ash also appears as a recurring feature on walls, flooring and in almost all furniture. The colour scheme is mellow, featuring green and turquoise blue shades. 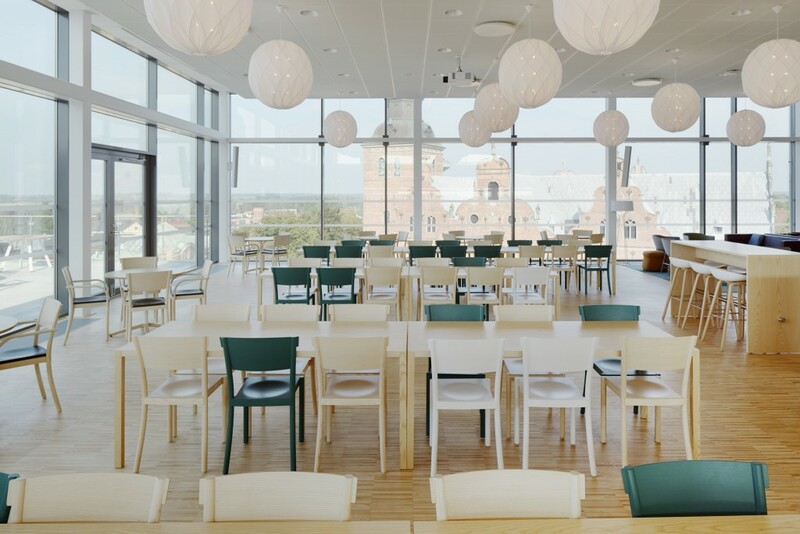 “The trendiest options have had to take a back seat in favour of a more durable interior design that feels harmonious, light and attractive,” says Lennart Jonsson, Sales Representative and Project Manager at Input interior in Kristianstad.